Investing in a good block set is tough. There are many out there and the biggest complaint that I hear is that the kids always want us parents to buy more more more. Of course, the best block sets are not cheap and so this presents a quandary. Luckily, there is a relatively new product that really addresses this issue effectively. 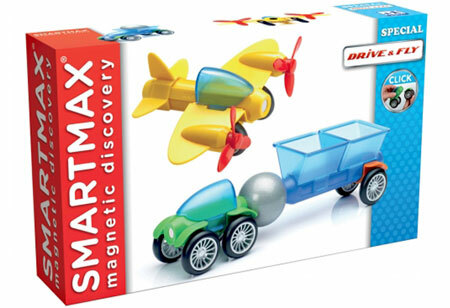 While of course, the play experience will no doubt be enhanced with more building rods and balls, SmartMax once again proves that they are capable of smart toy design with their wonderful line of attachments for their rods that turns a magnetic rod into a plane, a train, or a car. 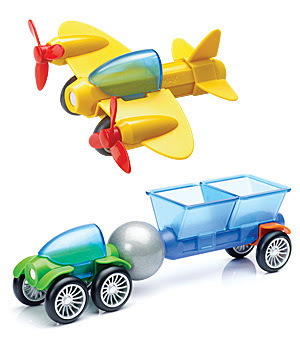 Sure you can imagine your rod to be a plane but for some of us, the immediacy of turning a magnetic rod into a plane gives the kids a break from building structures and instead encourages them to build a story. Diehard block fans may scoff. They may say that creativity is hampered with these very defined shapes that turn rods into cars (attachments: wheels, windshield, truck containers) but one diehard block fan sees merit in these defined pieces. David Wells, Manager, Creative Making and Learning, New York Hall of Science and my go-to visual-spatial expert is one such diehard block fan/purist. 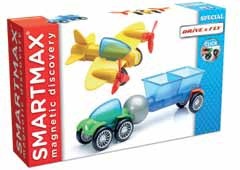 He is very much a believer of give-a-kid-a-box-of-blocks-and-then-leave-him-alone to promote a child's creativity but even David readily sees the merits of SmartMax's Drive and Fly set which offers a few rods and balls along with attachments to build planes and cars. "I am usually not a fan of prefabricated type kits," David told me but of the SmartMax Drive and Fly he told me, "I really liked them. I thought they were good." David explained to me that the SmartMax Drive and Fly sort of opened play up to what he called "trained imagination" ("this is an airplane and that's what it is") Creating an airplane is not possible for the child but rather, the child can extend his imagination by building a story around the plane. "It doesn't stunt imagination," said David. The containers are so cute. "It can also provide focus." 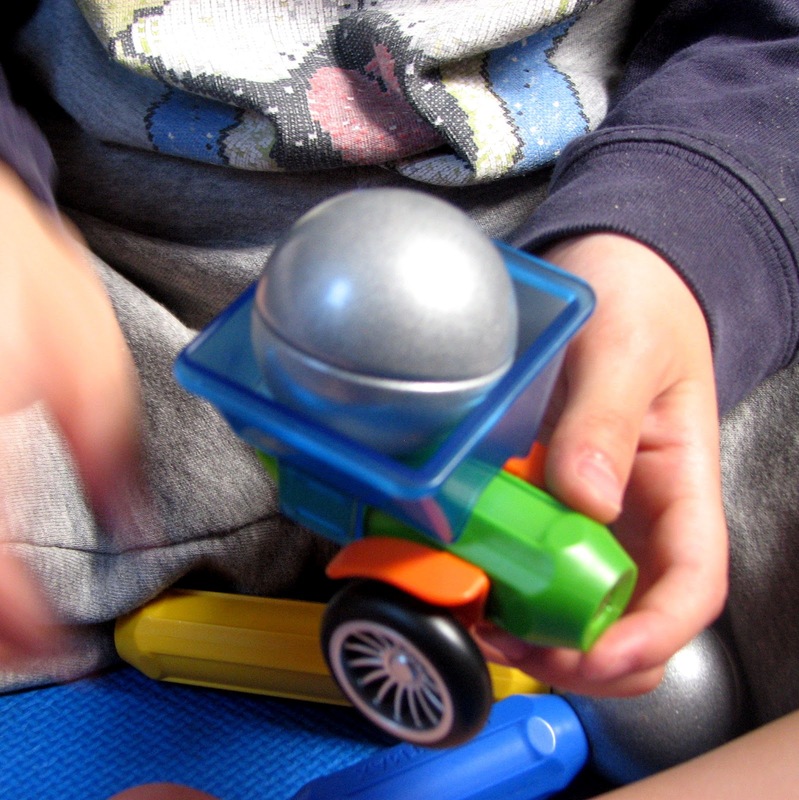 David explained that while it is helpful to a child to be building and tweaking as his structures fall apart and then are built back together, when given a defined object, the abstract forms he's created can take shape around that object. "Being creative is stressful," David said. Whoa! Did he just say that? "Because you have to make something out of nothing," he said. "As you get older that concept of creativity is more work." How very true. Leave it to David to really understand a child and his feelings. This is why I love this set for my little one, Number 2. His strengths lie more with storytelling rather than building but the fact that some building is required fulfills his needs and wants quite effectively. Parents who purchase SmartMax rods will likely love the accessories and its magical potential of satisfying kids in this different dimension. For me, I believe it makes your whole set that much more interesting and buying more rods would be more of a choice rather than feeling forced to buy more because the kids are clamoring or because they stopped playing with it because they can't do anything new with their rods anymore. 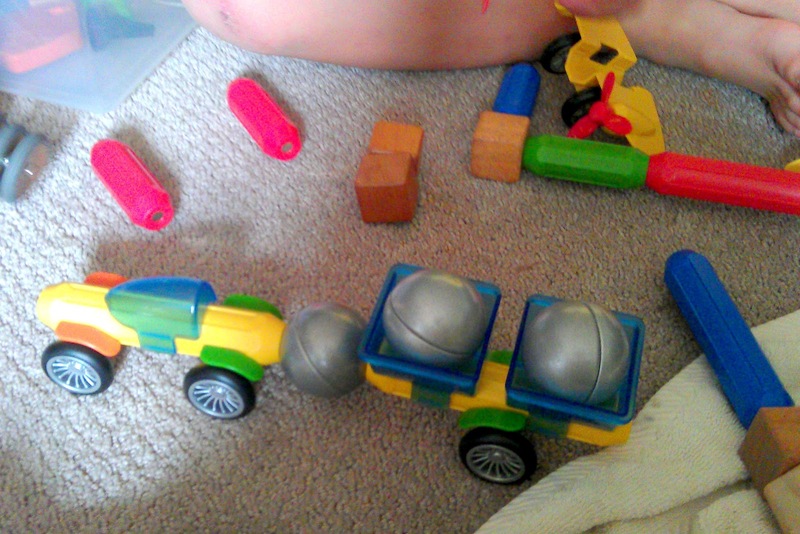 This photo was sent to us from a friend of Number 2's. 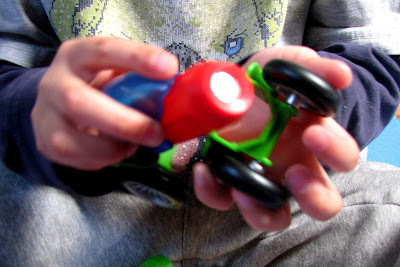 With structures that promote storytelling, the kids will always be able to build "new" things. As David said, the abstract forms that the kids built would take shape around the object which really opens up a new way to play and be creative - one that is not limited by how many blocks you have. For me, I just love that I feel I can have a finite set of these blocks and not feel a huge tug to want to buy more, more, and more. The kids haven't started with the serious begging yet. They've been pretty satisfied although, after visiting my nephew, Number 2 got jealous because I had purchased the SmartMax 36 for my nephew's 2nd birthday and there he saw SmartMax's curved bars which my nephew happily made into a phone sets for the both of us so that we can talk and talk and talk. 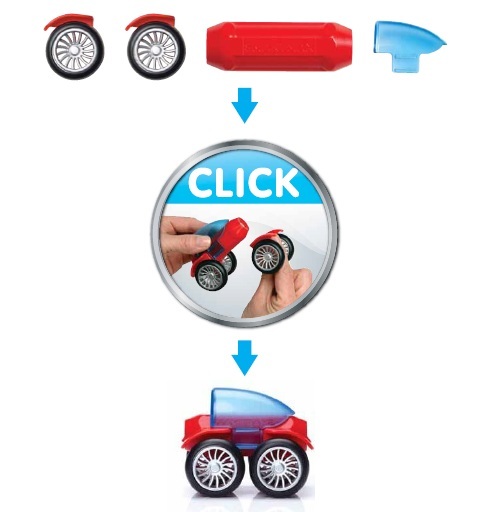 Thus everytime we play with our SmartMax toys, he brings up the curved pieces. (Of course he does, because they were put on this earth to bug me, right?) ARGH!!!!! So what is a mother to do, certainly, we can ask Santa for some curved bars, which thankfully are just $13 dollars. I wonder if we can make a "banana car" out of the curved pieces. Heaven knows, we will certainly try.